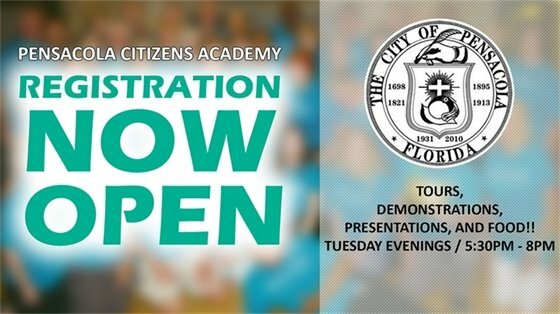 The City of Pensacola is now taking registrations for enrollment in the 2019 Pensacola Citizens Academy. The Academy is a nine-week, hands-on, interactive inside look to the inner workings of the City of Pensacola and its Departments. Tours and demonstrations make the course both informative and fun. Best of all it's free and there are no exams to take! You have a chance to step into to the role of a firefighter or a police officer and see what life is like in their departments. Registration deadline is March 4, 2019. You can register online through the City website at www.cityofpensacola.com/pca or you can register by emailing the City’s Public Information Office at pio@cityofpensacola.com or via phone at (850) 435-1623.